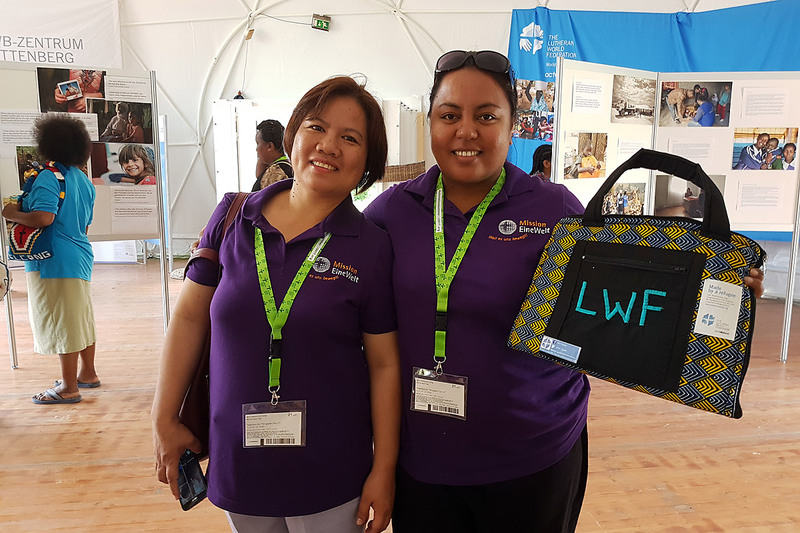 For one week, LWF World Service has a display in the LWF “Heaven’s Tent” at the World Exhibition in Wittenberg. 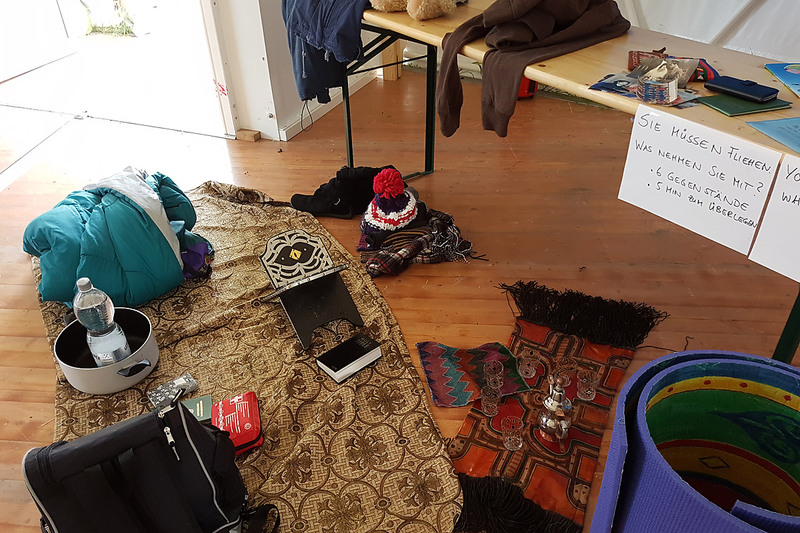 Under the motto “Here I stand – with refugees”, visitors were invited to learn about World Service work, and to literally step into the shoes of a refugee: We gave them a choice of items, and asked them to choose what they would take if they had five minutes to decide. This little workshop was to start a conversation about what we need to survive, to feel safe and at home, in a way what defines us as humans. We discussed what kind of help an aid agency can give, and what needs to be offered by hosts. This workshop was framed with an exhibition of pictures and quotes of refugees telling what they have taken, what they had to leave behind and what they miss the most. When we planned our display, I think we did not anticipate what a hot topic the word “refugees” is in Central Germany. The European refugee crisis is still resounding in these parts, and also in Wittenberg, where a nearby reception center suddenly made refugees a part of everyday life in a region, where there are not many foreigners. We sometimes faced resentment, but also heard many encouraging stories of people supporting the new arrivals. Our conversations also showed how this recent crisis has triggered collective memory of the massive displacement in Europe after World War 2. I do not remember the displacements from former German territories in today’s Poland being such a topic before. The majority of those who experienced being driven from what was their family land for generations are not alive anymore, but there are those who experienced displacement as small children and never shook the feeling of losing their home. The images of reception centers in Northern Iraq also triggered something within those who fled the GDR, former Eastern Germany, to West Berlin or Western Germany. One man told me about being taken along on a dangerous route by his parents – clearly angry even now, in his 50s, about not having a choice whether he wanted to leave his home. It is striking how similar these histories are to the accounts of refugees in Northern Uganda. In both cases, there were mothers with small children, travelling and sometimes even giving birth on insecure roads. Then, as it is now, women and children are the face of people fleeing war. There is an instant connection between the two, Europe and the Middle East or Central Africa, and across the time span of 70 years. What would you take on such a treck? Many chose passports, mobile phones and water bottles from our displayed items. The things they would miss most are friends and family. Making a new home, however temporary, depends on the hosts, their willingness to be welcoming and to integrate.